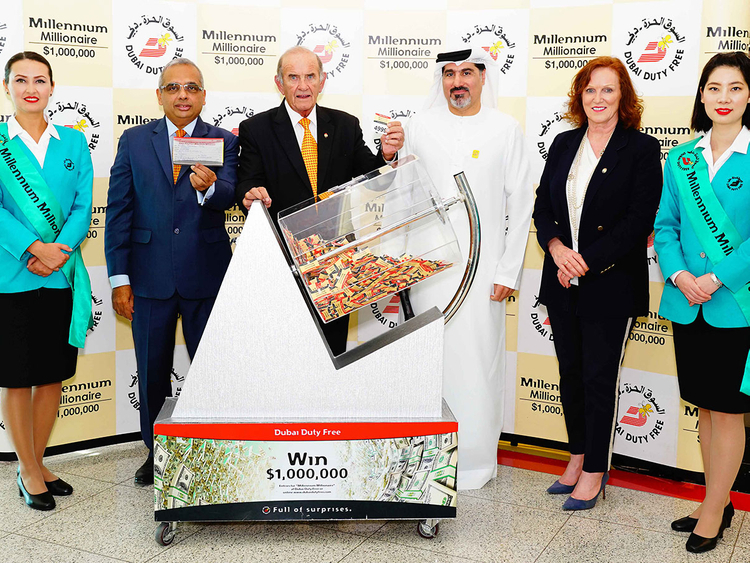 Dubai: To ensure he’d hit the jackpot, Nidal Marwan Taha purchased three tickets worth Dh3,000 for a multi-million-dirham raffle draw in Dubai recently. And true to his hunch, the expatriate from Jordan was declared on Tuesday as the winner of the $1 million (Dh3.6 million) top prize from Dubai Duty Free Millennium Millionaire draw. Taha has been buying tickets for the raffle promotion for years now. Whenever he travels, he finds the time to buy a ticket and during his last purchase, he decided to pay for three entries. “I always had a gut feeling that I would win one day and I am thrilled that finally my perseverance has paid off,” Taha said after he was contacted by the raffle draw organisers. Two Indian nationals were also named winners in the Finest Surprise promotion and each of them will be driving home a luxury vehicle. Daphney Monsurate, a 58-year-old resident from India will be granted the keys to a brand-new BMW 760Li xDrive. The retired teacher had purchased her lucky ticket on her way to Bangalore for a holiday. “My family and I love shopping at Dubai Duty Free whenever we travel for vacation and buying tickets to its world famous promotion has become a habit for us. I couldn’t believe that we have won, thank you Dubai Duty Free,” Monsurate said. Kaushik Thadeshwar, a 44-year-Indian national based in Mumbai, has also won an Indian Scout motorbike. Thadeshwar works as an admin staff for a company in Mumbai.